It’s easy to listen to the naysayers in aviation, but by any measure it’s been a remarkable year for general aviation. From great new airplanes and technological advancements, to innovative companies and regulatory gains, aviation had a banner year in 2106. Here are our picks for the Plane & Pilot Platinum Awards. Piper knocked it out of the park with its next-gen turboprop single, the M600, which takes its place at the top of the company’s lineup. 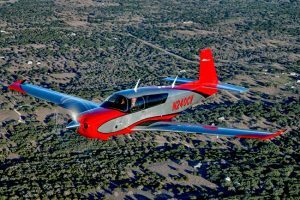 The ’600 is faster (275 knots), longer-legged (around 1,450 nm), just as comfy and better equipped than Piper’s popular Meridian, while coming in at just under $3 million, a bargain by fast-turboprop standards. And, to top it all off, the M600 is outfitted with the Garmin G3000 touch-controlled avionics suite, making it the most advanced Piper panel ever. It’s been a great year for the Experimental Aircraft Association and we tip our hats to the entire organization with a special nod to the organization’s president Jack Pelton, who gets what EAA is all about. There’s evidence of that fact. The association helped shepherd big wins in pilot medical certification reform, and it marked a huge milestone, with the two-millionth youngster to get an airplane ride as part of the organization’s Young Eagles program. 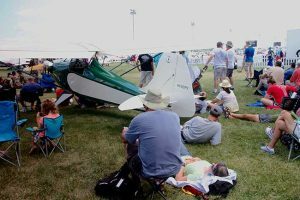 To top it off, this year’s AirVenture extravaganza was one of the best in recent memory. Here’s an airplane that defies easy categorization, and bravo for that. The S12, a big upgrade of the company’s S10 motor glider, is more powerful, has longer legs, is faster in cruise—around 140 knots!—and yet handles better than the original. When you shut down the engine and stow the prop, the S12 goes from powered cruiser to high-performance sailplane, giving its owners a way to fly pretty much all day long on a single small tank of auto fuel or 100LL. 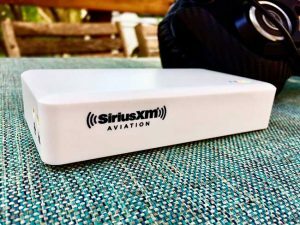 We’ve long been big fans of SiriusXM weather, and the recent introduction of its pocket-sized receiver for use with the iPad tablet computer was a great way to give the best inflight weather to more pilots. But even better was the announcement that ForeFlight was offering full support for the Aviation Receiver in its mobile app, allowing users not only to get great weather, but to leverage all that data into easy usability on ForeFlight’s latest Version 8. Honda Aircraft took a decade to get approval for its HondaJet, but we’ve got to give them credit; they got it right. 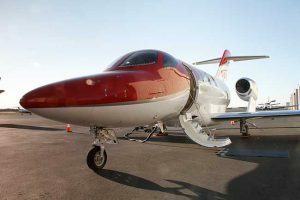 The entry-level twinjet is the fastest and roomiest in its class, and it’s price competitive with its two main segment foes, the Cessna M2 and Embraer Phenom 100. 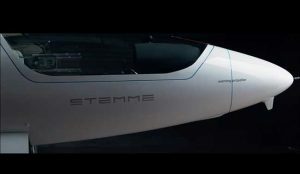 Plus, its over-the-wing-engine design gives it the most distinctive look on the ramp, along with a quiet cabin. Cubcrafters kept secret its brand-new Part 23-certificated XCub until after it had earned FAA certification for it. If that’s not a first in aviation, it’s an extremely rare occurrence. 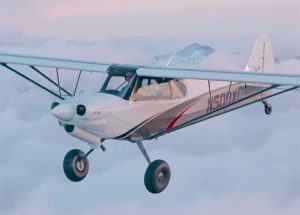 The big news, though, was the airplane itself, a fast, fun-flying real Super Cub clone on steroids that needs next to no room to operate and that has in its DNA all the fun a backwoods-leaning pilot could ever hope for. 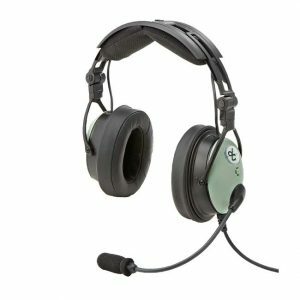 It’s not the quietest headset available, it’s not the lightest, the most comfortable or the cheapest, but the DC ONE-X is really good at, well, being really good at all of those things it’s not quite the best at. The result is a durable headset that’s a great deal, feels plenty comfortable and provides really good active noise cancelling, all while sporting some sweet green domes. When Mooney told us its big secret, that the M20 line was getting a second door, it didn’t sound like that big a deal, until we got a chance to fly it. 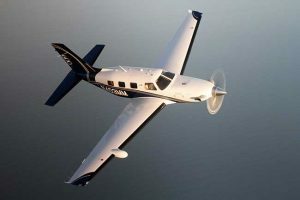 The new design uses an ingeniously designed composite shell around the plane’s super-beefy steel-tubing understructure to create an M20 objectively better (and not even close) to any that Mooney has ever built, with easier access (including bigger doors), bigger windows and better sight lines all around. All this along with upgrades in electronics and interior appointments make the Acclaim Ultra a big win for a company on the move. The Avidyne IFD440/540 weren’t new in 2016, but they came into their own. The economics behind the two capable user-friendly multifunction navigators are impossible to ignore. 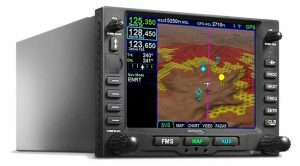 For owners with legacy Garmin navigators in their panels—and that’s a lot of folks—the Avidyne boxes are plug-and-play solutions that have many of the capabilities of Garmin’s current-gen boxes for a lot less up front and a lot less for the installation. When the FAA can’t get things going, more and more Congress has been stepping in and forcing their hand. Senator James Inhofe was the driver of much of this change, including the Pilot’s Bill of Rights II, which included the reformed pilot medical certification language. We also need to thank our elected reps for not adopting the National Airspace giveaway that the airlines are pushing, which would drive user fees and cut access to airspace for pilots like us. And props to AOPA for getting our message out to our legislators, who heard the message loud and clear.